New Yaris GRMN shows that Toyota hasn't forgotten how to make a cracking performance car. The limited-run Toyota Yaris GRMN may be already sold out, but it already goes down as one of the best small hot hatches in years. From its supercharged engine to the sublime chassis and suspension setup, if you're one of the 400 people that got their names on one in Europe, we're rather envious of you. The overall look of the Yaris GRMN (which stands for 'GAZOO Racing tuned by the Meister of Nürburgring' incidentally) isn't all that different to the standard car it is based on. All examples will be in the three-door body style and all come in the white colour scheme with a black roof and decals on the bodywork. Other unique features include a new rear diffuser to help optimise airflow, along with incorporating the single central exhaust. Behind the black 14-spoke forged alloy wheels the GRMN has brake discs all round, with ventilated and grooved 275mm items up front, gripped by four-piston callipers and 278mm discs with single-piston callipers on the rear. Toyota has affixed a wing spoiler over the rear window, which adds some downforce at higher speeds without looking too in-your-face. On the inside, you won't find drippings of carbon fibre, but you will be met by two supportive sports bucket seats up front. Rather than going to an established supplier like Recaro, Toyota turned to its in-house Boshoku department, which has also designed seats for cars like the BMW i8. They're wide seats that don't leave a huge amount of room between you and your front passenger, and if the passenger seat is set quite forward (in right-hand drive models) you may find your hand rubbing against the seat when selecting reverse. The seats feature hard bolsters, though, that add to the lateral support, but there's enough padding to make them comfortable over longer journeys and wouldn't preclude it from daily driving duties. Toyota did briefly toy with the idea of producing a stripped out version of the Yaris GRMN (after all the factory already churns out commercial two-seat variants of the Yaris for certain markets), but in the end it was deemed that the car should remain as usable as a conventional Yaris. The sport seats do impinge slightly on rear legroom, but not by much, and the boot remains unchanged. The GRMN is built using the same three-door chassis and body shell as the conventional model. It is even built on the same assembly line in Valenciennes, France. However, there are some key hardware changes that help to single this out as one very special Yaris. Additional bracing across the top of the front suspension towers, along with lower front, centre and rear bracing, plays a significant role in the car's handling. One of the first things you notice is just how impressive the ride quality is. Toyota chose Sachs Performance to provide the suspension components. The Yaris' MacPherson strut front and rear torsion beam arrangement is retained, but the car now sits 24mm lower, helping to bring down the car's centre of gravity. Sachs Performance also developed a beefed up stabiliser bar for the rear, measuring 26mm in diameter, which helps to give the car a more planted feel. There's a firmness to the ride but it's not what you'd call harsh. Higher spring rates and some excellent damping, along with the choice of modest 17-inch wheels, make the GRMN comfortable enough to be considered a daily driver. Through bends the car remains quite flat. Quick direction changes and heavy braking moments stay largely free from any pitch or roll that might unsettle the car. It is possible to induce some lift-off oversteer if you're feeling particularly enthusiastic, though. On the whole it is a car that feels nicely planted and provides the driver with plenty of confidence. The electrically assisted steering is nicely weighted and with the combination of a smaller steering wheel taken from the Toyota GT86 the system feels near-perfect. With 2.28 turns lock-to-lock, even hairpins are taken with ease, enabling you to keep your hands at ten-to-two virtually all the time. The real star of the show is the engine though. Toyota's 1.8-litre 2ZR-FE block is manufactured in its Deeside plant in the UK before then going to Lotus for further work and then shipping to Valenciennes. Whereas so many rivals in the hot hatch segment have transitioned to turbocharging, Toyota chose to fit a supercharger to the GRMN. During the initial development, a total of five engines were considered, two of which were turbocharged units, but this iteration was deemed the best. The compact Magnusson-Eaton supercharger takes up little space inside the engine bay, which was helpful, as an additional engine oil cooler was required, along with the enlarged air intake system. Throttle response is good and the engine pulls strongly right the way through the rev range. Keep your foot in and you'll run into the limiter as you surpass 7,000 revs. The sound from the single centre exhaust is just loud enough without being intrusive or droning on longer journeys. Peak power, 212hp, arrives at a lofty 6,800rpm and that gives you an idea of how this engine seems to love being driven hard. That's not to say that it's lacking performance in the lower sections of the rev range. You will have plenty of fun and cover ground at a brisk pace without ever passing 4,500rpm. But push it on that bit more and there's a wonderful and addictive hard edge to the engine, not unlike older naturally aspirated Honda Type R engines. Every gear change feels mechanically slick. The throw across the gate could be a bit shorter, but we're being picky. A great deal of time was spent experimenting with the various counterweights and setup to get the feel of the manual transmission as good as it is. The ergonomics of the gear selector in relation to the driving position feels spot on and the ratios, along with the precision of each shift, in combination the rev-happy nature of the engine, will have you playfully swapping between second, third and fourth more than you might strictly need to. Toyota's engineers spent time driving a number of other hot hatches, like the Clio RS, Fiesta ST and the latter Fiesta ST200, so it knew exactly what it was going up against. Stijn Peeters, Toyota's Senior European Technical Project Manager, oversaw the Yaris GRMN from day one and admitted that even the first prototype far exceeded their own expectations. Drawing existing knowledge from Toyota's experience with the Yaris in rally in Japan also helped. 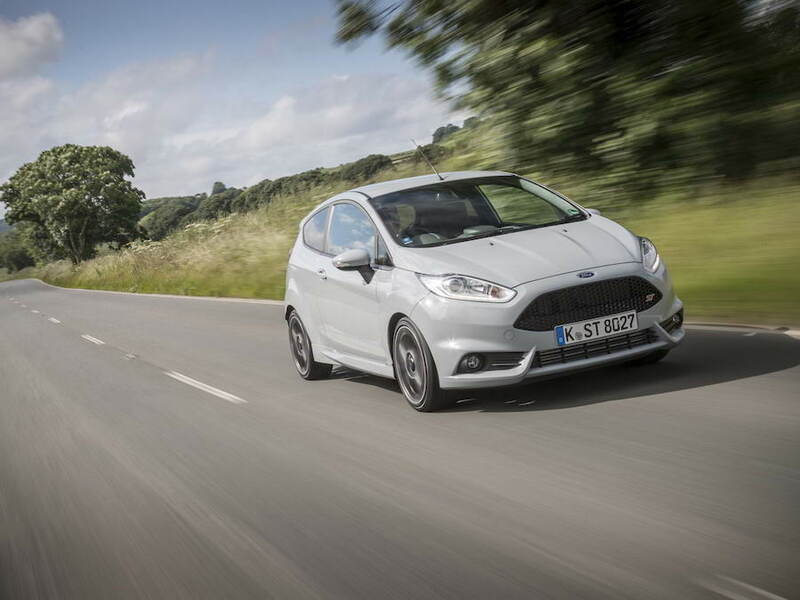 The finished product is an exceptionally good car to drive and is the first to exceed the high mark set by the Fiesta ST - long considered by us to be the best in the segment. Not only is the Yaris GRMN a decently fast car, it delivers a thoroughly rewarding driving experience. You feel immersed in it and on the right road you can gel so well with. It is absolutely a driver's car and one that will have you setting your alarm clock for that dawn raid on a regular basis. Given that the full production run of 400 (and an additional 200 for Japan sold as the Vitz GRMN) is already accounted for, we'll skip scoring the car in this section. 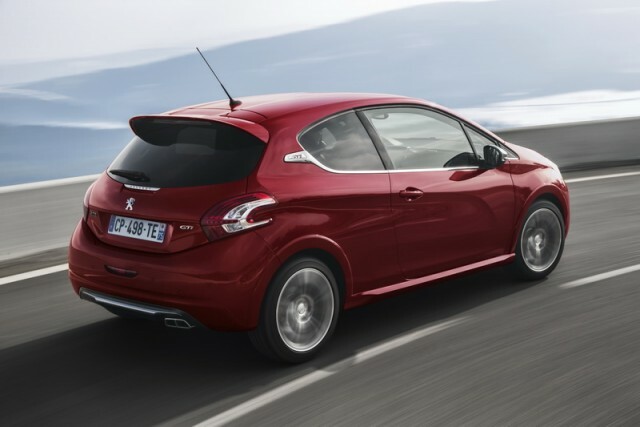 All models were sold via a specific Yaris GRMN website, but the retail price in Ireland would have bene circa €42,000. There is just one car coming to Ireland, so do keep an eye out for it. Those in Toyota who oversaw the Yaris GRMN project quietly admit that they had to nail this first time out for it to be a success. They absolutely have and it serves as a reminder that Toyota still knows how to make a cracking driver's car. While other factors led to the production run being as limited as it is, it just adds to the desirability of the Yaris GRMN. Those lucky few who will be taking delivery of one are in for a real treat. 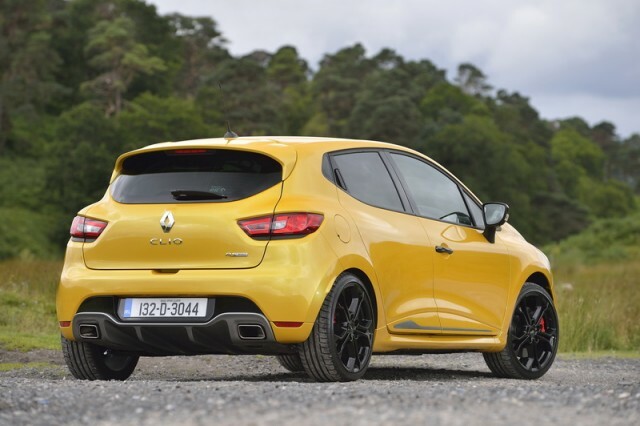 There's a new king of the junior hot hatch segment. Ford Fiesta ST 200 vs. Toyota Yaris GRMN: long-regarded as the best in the class, this last edition is the pinnacle, but there's a new model on the way. Peugeot 208 GTi vs. Toyota Yaris GRMN: one of the best turbocharged engines in the class; it feels every bit as quick as the GRMN, but not as sharp. Renaultsport Clio RS vs. Toyota Yaris GRMN: decent chassis and engine is let down by an awful auto gearbox; still a fast point-to-point hatch, though.